The first day of the I Encuentro de Chicas Poderosas in Spain offers a menu that you can’t miss. 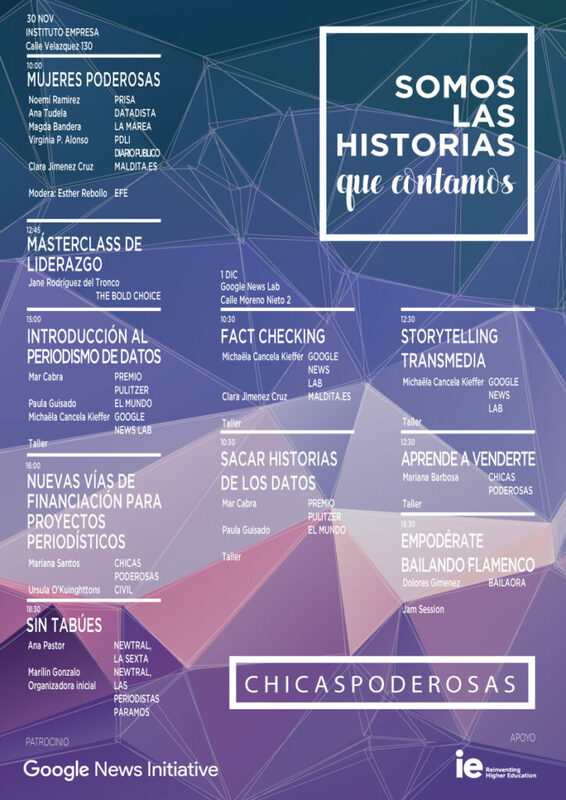 Although you see that we’re ‘sold out’, there is a waiting list you can still sign up, with this double confirmation system: write an email to chicaspoderosasiberia@gmail.com and specify in which workshops you want to participate on Saturday. There are still places! 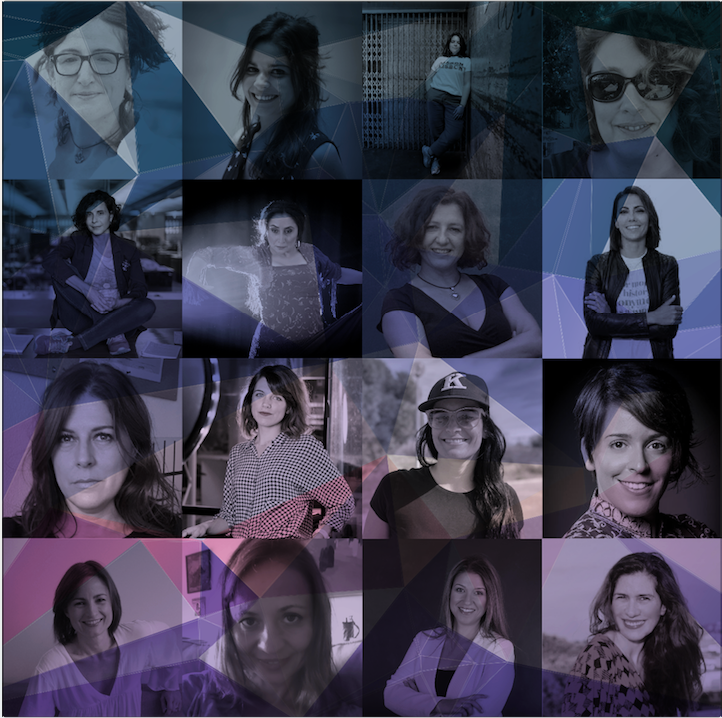 The first main course will be a panel with Mujeres Poderosas in Spanish media such as Noemí Ramírez (EL PAÍS), Ana Tudela (Datadista), Magda Bandera (La Marea), Virginia P. Alonso (Public) and Clara Jiménez Cruz (Maldita .es), moderated by Esther Rebollo (EFE). Afterwards, panel participants and more women who have achieved successful careers in the media will come down from the stage to connect with the public. It will be a brief and intense meeting of 15 minutes, a ‘speed dating’ with the “best”. Have your laptop ready and remember to sign up to participate in an ‘Introduction to Data Journalism’ workshop with Mar Cabra (Pulitzer Prize for The Panama Papers), Paula Guisado (EL Mundo) and Michaëla Cancela (Google News Lab). 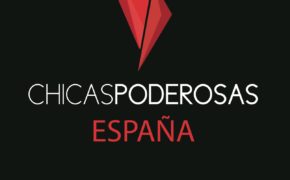 Next, the founder of Chicas Poderosas, Mariana Santos, and Ursula O’Kuinghttons, of Civil, will share the keys to take forward a journalistic project, be it for a report or a great investigation, and they will talk about the new ways of financing. The journalist Ana Pastor will close the first day with Marilín Gonzalo, Digital Content Manager of Newtral and one of the organizers of “Las Periodistas Paramos”. The conference will be held at the Instituto de Empresa (IE), on Friday, November 30, and on Google Campus, on Saturday, December 1. For this launch, Chicas Poderosas has obtained the support of the Google News Initiative, which allows us to offer activities free of charge. IE has also opened its facilities for the day on Friday. On Saturday you can choose between four workshops: the second part of ‘Introduction to data journalism’, which will explain how to find stories in a dataset, tools to do ‘fact-checking’, transmedia storytelling keys and strategies necessary for you to learn to sell yourself. Soon we will offer information about the specific rooms where each workshop will be held. 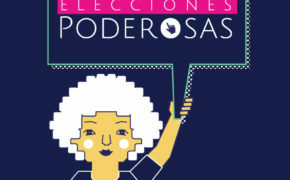 This agenda is aimed at women journalists, with or without experience, and students of journalism and / or communication. Men may come, we do not exclude them! But this is not all: if you come on Friday, you can register to apply for a three-month fellowship in Data Science at IE. We will wait for you!